Millions of people suffer from acne. The condition does not care how old you are, what race you are, or your gender. 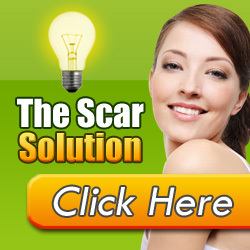 This leaves many acne researchers in quite a quandary when finding a cure that will work on everyone. They have yet to find one, so trying to choose an acne treatment for the wide variety out there often leaves acne sufferers standing in an aisle in the drug store scratching their heads. In order to choose an acne treatment, it is helpful to have some background information on what acne is and what it causes, as well as you specific type of acne. You should consider visiting your dermatologist or doctor to see what they recommend as far as treatment goes. Often, this will be more effective than randomly selecting an over the counter remedy that you are unsure whether or not it will really help. In order to choose your ideal acne treatment, you need to realize that there are a couple of different approaches that you can choose from to help control your acne. The two products that you see most often on the market are benzoyl peroxide and salicylic acid. While both are designed to fight acne, the two work differently. Benzoyl peroxide works as an antibacterial, killing off the bacteria that are known to cause acne blemishes. In contrast, salicylic acid exfoliates inside the hair follicle. This slows down the rate at which skin cells are shed, helping to prevent the clogging of the follicle that can lead to acne. Both treatments can react with your skin differently, so it may be helpful to talk to your dermatologist before beginning one or the other. At the drug store, you may see acne kits. These are conveniently packaged sets of different products that can be used to help fight and control your acne problem. Usually, they will include a cleanser for your face, a topical gel or cream to treat your acne, and a lotion that will help with irritation and keep your skin from drying out. However, you still should only use the acne treatment as directed. Washing your face too frequently can cause your skin to become dried out and irritated, which will make your acne problem worse and more uncomfortable. If the over the counter remedies are not working to your satisfaction, it may be time for another trip to your dermatologist to reevaluate what you are using. Sometimes, it may take several different treatments to find one that works for you, your skin type, and your acne problem. This entry was posted on Sunday, February 3rd, 2019 at 12:04 pm	and is filed under Acne. You can follow any responses to this entry through the RSS 2.0 feed. You can leave a response, or trackback from your own site.